If you notice something crawling on your floor or scurrying through the cabinets, it may be time to call a pest control service. Interestingly enough, even the cleanest of houses can become havens for all sorts of insects and rodents. Let's take a closer look at some common pests that an exterminator may encounter. 1. Ants [embed]https://www.youtube.com/watch?v=PefeGmzgq1k[/embed] Ants may decide to take shelter in your home for a variety of reasons. In some cases, it is because they have found a source of food such as sugar spilled on the kitchen floor. In others, it is because they have found a warm spot in the walls where they can hibernate during the winter. Carpenter ants can be especially destructive, so make sure to call a pest exterminator if you see signs of them in your home. 2. Wasps [embed]https://www.youtube.com/watch?v=dFrXF-v8ocA[/embed] During the summer months, wasps like to build nests under your roof, in your attic or any other place where they are safe from predators. Unlike bees that only have the ability to sting once, a wasp may sting multiple times. Those who are allergic to their stings could suffer severe injury or die from just one prick from this flying invader. One way to get rid of wasps is to spray chemicals directly into their nest or knock it down when they are gone during the day. 3. Mice [embed]https://www.youtube.com/watch?v=IOwinLWrEIw[/embed] If you see a single mouse in your home, it is likely that there are more hiding within the walls or just outside of the house. One way to reduce the odds of seeing them in your home is to keep your grass as short as possible during the year. This is because mice like to hide in tall grasses before making their way into your warm home. Since this creature can multiply quickly once it establishes a niche in your house, you should call a pest extermination company quickly. 4. Rats [embed]https://www.youtube.com/watch?v=k5oIuMNO-Q8[/embed] A rat is generally thought of as a larger type of mouse. While they are related in some ways, rats are generally more aggressive and will bite if provoked. Rat bites can cause infections that can lead to pain or other health problems. They also like to bite cats, dogs or other animals that they come across, which could lead to large vet bills even if you are left alone. Like a mouse, a rat colony can expand quickly, which makes getting rid of one as soon as possible your top priority. 5. Cockroaches [embed]https://www.youtube.com/watch?v=RU9oOCYPros[/embed] Cockroaches have been around for millions of years because of their ability to adapt to almost any environment. Once they have invaded your property, it may be necessary to fumigate the entire premises multiple times to properly deal with the infestation. In extreme cases, you may need to bulldoze your home and rebuild it somewhere else. Even if your home can be saved, cockroaches can cause significant damage as well as spread diseases. Unlike termites that tend to live in walls and underneath the ground, cockroaches will make their presence known, which may make it easier to identify the problem and call for help quickly. If you are dealing with a pest problem in your home, do not hesitate to call for help immediately. A trained professional may be able to diagnose the cause of the problem and take steps to put an end to it as quickly as possible. This may make it possible to enjoy your home again free from the fear of getting hurt or sick by invading insects or rodents. The Reliable Pest Control website is a useful reference for more information. 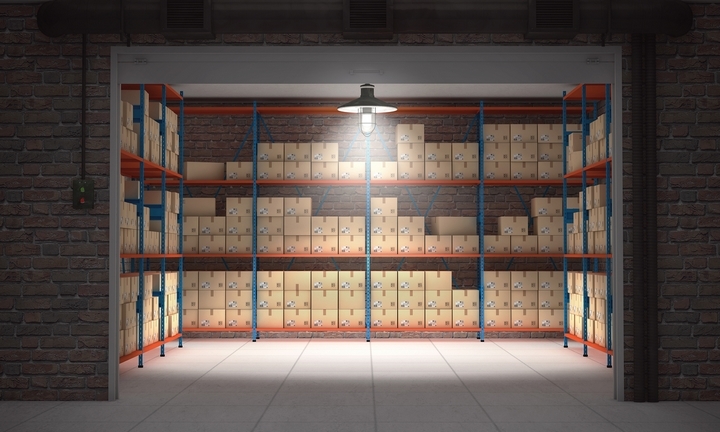 When you are downsizing to a smaller home or apartment, engaging in a renovation project or getting your home ready to sell, a storage center is a great idea. Putting your extra belongings into self storage provides you with more space and a tidier living environment. Consider these four tips for packing up your hobby supplies and putting them into nearby storage units. 1. Protect Fibers from Insects It is important to protect fibers from insects such as carpet beetles and moths. If you will not be accessing your storage units for a while, consider washing and drying your fabrics and then sealing them in a vacuum-sealed bag. The vacuum sealing process removes the air that the insects would need in order to hatch or develop into larvae. If you are putting yarn into storage, use vacuum-sealing bags. They compress the skeins or hanks of yarn, which will also help you to maximize your storage space. 2. Seal Organic Materials from Insects and Rodents Fabric and yarn are not the only organic materials that are interesting to insects and rodents. They will also go after cardboard, paper, stickers, canvas and other materials. There are many home remedies for discouraging insects and rodents from accessing these materials. Moth balls are a good deterrent. Vacuum-sealed bags are another good choice. Keep in mind that rodents can chew through plastic, so you will need more than one type of barrier. 3. Remove Moisture from Papers and Fabrics Even a low level of moisture could cause your scrapbook, card making, sewing and quilting supplies to grow mold or develop a musty smell while they are stored. If possible, pack them with silica gel packets. The silica gel absorbs moisture from small, enclosed spaces. The papers or fabrics should also be sealed so that no new moisture can get into the box or bin where they are stored. 4. Drain or Dispose of Any Combustible or Pressurized Fluids If you have leftover paint thinners, mineral spirits, glues, spray paints or other products that are under pressure or combustible, do not store them in self storage centers. Even in a climate-controlled unit, these products could burst, damaging the things that you have stored. It is best to dispose of such products safely at a specialized hazardous waste collection center. These products often have a short shelf life anyway, and would be unlikely to be in a usable condition after they have been stored for many months or years. Similar items, such as oil or water-based paints, oil pastels or embossing powders may also not store well for more than 6 to 12 months. For more information, there are some helpful resources on the Storage City website. The term “best” means many things to many people. Best in terms of finding a good landscaping company may mean the company’s ability to create awe-striking landscape design. The term best could also refer to the landscaping company that offers the lowest pricing without compromising quality. 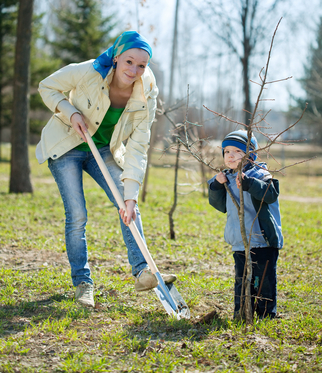 The following are some tips that can help to ensure that you get the most reliable landscaping company. Sort out Your Budget The first step in the process is sorting out your budget. It makes no sense to try to hire a landscaping company if you cannot afford its services. For that reason, you’ll want to come up with a solid figure that you will not surpass when it comes to hiring a landcaper. The amount is up to you, and it depends on your obligations. Decide What You Want to Do What is your main goal in hiring a landscaping company? Do you want a clean yard, or do you want to dazzle every person who bats an eye toward your establishment? Is this for a personal home or a business? Knowing what you want to achieve by doing business with this company will help you to establish which company would work best for you. You can use a small contractor if you only want to take care of one home. You may want to move on to a highly professional establishment if you own a business, however. What Services Do You Need? What service do you need from the company? Your answer will determine which company that you feel is the best. Do you need tree removal, hedge trimming, grass cutting, installation, sprinkling work or something additional? Some landscaping companies may offer bundles of the services that you need. You won’t know which one is “best" for you in that aspect unless you first write down what you need. Ask for Referrals Ask your family members, friends, acquaintances and other businesses for referrals to some amazing companies. They may be able to tell you who they used and then you can skip the lengthy process of searching for the best. The work will be right in front of you, and you will have the approval of someone that you know and trust. Check Accolades and Certifications When you get hold of a number to a provider, you will want to check the accolades, certifications and work. Many prospects will provide you with samples of their work so you can see what you are getting in the project. See if the companies that you are considering have satisfaction guarantees so that you can ensure that the work turns out the way you want it. Follow those tips, and you should be able to come up with a provider that can do some magnificent work for you. Learn more information at Royal Decks or speak with one of their experts if you have any questions. Losing your keys after locking your car or actually locking your keys in your car can be embarrassing and scary. If your child, pet or some important item is in there, you may only have a limited amount of time to get back into your vehicle. This is why calling a locksmith is your best option when you can't get into your vehicle on your own. Get Emergency Service Day or Night Emergencies don't keep normal business hours and neither do you. Therefore, a locksmith will come to you day or night whenever you need help. They may also be available on weekends and on holidays to ensure that you get the service you need when you need it. In most cases, they can arrive within 30 to 45 minutes of your call. Response times may be even lower during slow periods. You may also have the option of scheduling service for the next morning or during a weekday if you won't need your vehicle overnight or during the weekend. Some locksmiths also allow you to schedule appointments where service is rendered whether or not you are actually by your car. This may be beneficial if you can't stay home from work or if your key is locked in your car in your employer's parking lot. How Can Locksmiths Help You? Locksmiths can provide a number of services to help you get back into your locked car. First, it may be possible to jimmy the door open by pushing a slim rod through the space between the driver's side window and the top of the car frame. Once inside, it may be possible to pop the lock and open the door. If this is not working, it may be possible for a new key to be cut on the spot. What Happens If You Need a New Key? Your locksmith will use a blank key template to laser cut one that works in your vehicle. This may take a couple of hours to complete, but it may also be possible to have multiple keys cut at once, which can be beneficial if you ever lose your key or lock it in your car again. 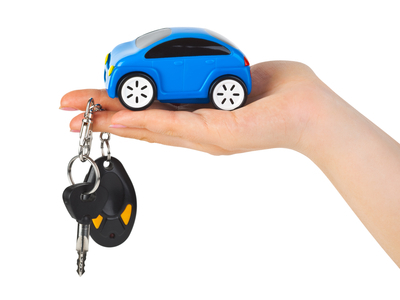 In most cases, a professional locksmith will charge much less than a car dealership will for a new car key. If you can't get into your car, you may not make it to work on time, make it to school on time or be able to get your kids where they need to go. That can cause a serious interruption to your life. The good news is that locksmiths can be there for you whenever you need them to unlock your car and help you get back to your life. Check out the Lock-Up Services Inc website if you want to learn more. All over the world people are discovering the joys of home gardening and landscaping and in the process, discovering that this hobby requires a lot of accessories. Accessories in the form of seed, fertilizer, irrigation systems, and of course, tools. Gardening tools for home use are becoming increasingly varied, sophisticated, and expensive. Owners as a result want to store these tools so that they are protected and easy to access. Fortunately, garden sheds are a great option to store your gardening supplies. Storage Sheds To The Rescue In days gone by, this type of shed was an unattractive metal depository for old tires and drying out cans of paint. But today's storage sheds are attractive, versatile, and work very well as storage for gardening tools. Four arguments against storing tools in this way are that these sheds are too large, too difficult to assemble, too expensive, and too unattractive to have on display in a yard. But sheds designed specifically for gardening purposes come in a variety of shapes and sizes, from small, chest like containers, to structures that resemble car garages, to sheds that look like miniature cottages, complete with porches and shutters. Prices are dependent on shed size and structure materials, which range from metal to plastic to wood or resin. Gardeners should expect to pay anywhere from several hundred to several thousand dollars for a quality garden shed. The Secret Behind The Best Garden Sheds The secret is an easily solved one. It requires gardeners to think carefully about what exactly they'll be using this shed for before tracking down and purchasing one. Will you be simply be keeping rakes and a lawn mower in there? Do you expect to be storing live plants in there? Doing potting? Making the shed one of the landscape features of your property? Knowing this before purchase and installation can save both time and aggravation. Other homework to complete before going to the home improvement store or garden centre: total square footage of interior space that you'll require,and whether or not you plan to utilize the shed's walls for storage. If so, are you contemplating hooks or shelves? Other Considerations Depending on how you'll use this shed, you may want to put it in a location that has access to electricity, water, and phone or internet capability. Any living things spending much time in this shed will require ventilation. And given the value and potential toxicity of what you might be storing here, good door and window locks are probably in order. It may seem like a lot of advance work and consideration for a shed. But remember that you plan to use this shed for years. Like all other aspects of your garden, you will find this advance planning worth it. When it comes time to complete a long distance move, not just any movers will do. You will need a professional who is willing to drive hundreds of miles safely with your possessions. What steps will you need to take before and during your long distance move to ensure that it goes smoothly? Step 1- Find a Moving Company that Specializes in Long Distance Moves The first thing that you need to do is find a mover that is willing to drive as long as it takes to get you settled in your new place. When you contact that company, you should ask how much it will cost as there may be additional fees for gas, possible overnight accommodations and other costs that may not be incurred during a local move. Step 2- Make Sure Your Long Distance Movers Have Insurance It is critical that you find a moving company that has insurance and is willing to guarantee that your things will be transported safely. In addition to items getting broken, you could also encounter a situation where your goods are stolen or misplaced during the move. Therefore, you want to make sure that someone will cover the cost for you. Step 3- Prepare As Much as Possible Ahead of Time The less time it takes to complete the move, the less that you will have to pay to go through with it. To cut down on moving time, you may want to pack items ahead of time and put smaller items in your car. Doing so enables you to use a smaller truck as well as spend less time loading and unloading everything. It is also a good idea to get your keys ahead of time if possible to ensure that you can get in and start unloading right away. Step 4- Figure Out Who is Driving the Truck If you have your own vehicle that you have to transport to your destination, you may want to let one of the movers drive the moving van or truck. If you don't have a vehicle, you may want to offer to drive the truck yourself as you are the one who knows where you are going and are the one who needs a ride the most. If your looking at a long distance move, you need to go about it the right way to save time and money. Working with a qualified moving company, preparing ahead of time and making sure that everyone knows where they are going are the best ways to accomplish that goal. Yes, it happens to the best of homeowners. At sometime in the future, you'll have to go through the experience of a roofing Toronto job: either replacing and installing a new roof or have a roofing repair job done. And when that time comes, your next question is, "Should I use shingles or have fa metal roof installed?" Our article below covers the positives and negatives as expressed by many Canadian roofing contractors. Price wise, geographic factors and trends are not necessarily the same from one locality to another, so let's start with what dictates whether you'll need a roof repair or a total roofing installation. Asphalt Roofing Repair Without a doubt, roofers, and common sense as well, tell you that an asphalt shingle roof can be repaired--up to a certain point. Easier and less expensive than a metal roof, this is the way to go if there's only a minor roof repair needed such as having just a few tiles to replace or repair. That being said, some provinces and territories in Canada mandate that roofing jobs be warranted for 50 longevity; in reality, entire asphalt roofs typically may last for half that time. However, they do stand up to most adverse weather conditions and go well with any home design or color choice. Metal Roofs: The Pros Outweigh The Cons Today, there is a real trend by roofing contractors to encourage quality metal roofs, and simply go "green." 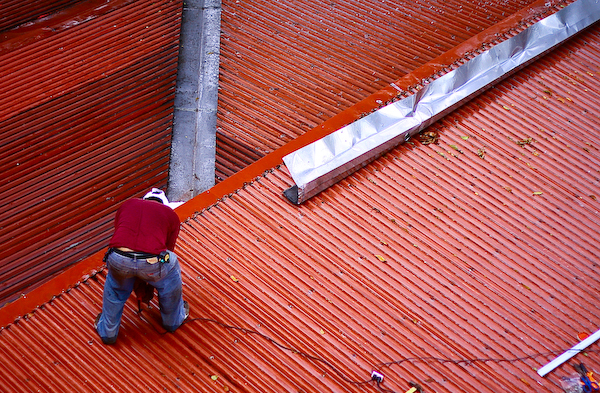 Many roofers claim that a metal roof can be expected to easily have more than 50 years of longevity, if not more. Energy-wise, a 1995 study clearly showed that Canadians having metal roofs saved up to 20 percent on their energy bills as compared to other kinds of roofing. Moreover, a good quality metal roof is truly the best choice for standing up to even the most severe of weather conditions for the longest number of years. In addition to being fire resistant, having a house with a metal roof and metal sidings obviously prevents insects like termites having feeding frenzies at your expense. They can also be easily maintained at low-cost and are especially excellent for regions subject to severe snowfall, sleet, frost, rain and wind. In addition, sidings that are metal don't absorb humidity or encourage the growth of mold. Unfortunately, costs that typically run two, three, or even four times more than asphalts, give homeowners reason to hesitate having them installed. 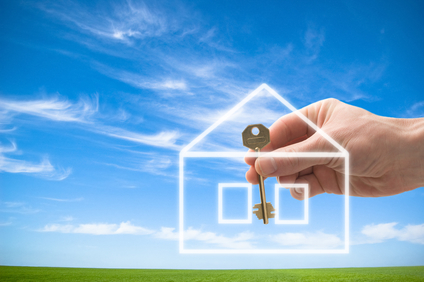 There are other factors as well to give homeowners food for thought. Working around an existing eavestrough is a daunting experience. After a snow avalanche, the snow can easily rip off the eavestrough and/or damage it severely. While some asphalt roofs have been known to last longer than a 25-year span, sometimes from 30 to 40 years, if you can budget for a metal roof, then do so. Whether it is tin, aluminum, galvanized steel or copper you decide on, the extra upfront expense may prove more cost-effective in the long run. It's impossible to stress the importance windows and doors have to a building's curb appeal, especially if that building is a home. Windows that are narrow, small or hard to see or doors that are hidden or in place they're not expected must be compensated for by some interesting architectural structure that lets the visitor know that the building is a place of human habitation and not a storage facility. It's been a long time since widows and doors were simply openings in a building to let in air and light, let out smoke and keep out intruders. Doors The door should hint at the personality of the household and echo something of the house's overall decor. When it comes to style, the two main types of doors are paneled and smooth surfaced. Both can have windows or other decorative features. Paneled doors are more often seen with traditional houses. Doors can be made out of a solid material like wood or steel or can have a hollow core. Dutch doors, which are divided into two halves that open separately, are not as strong as solid doors and are best used at the back of the house as a patio or backyard entryway. Doors called French windows, which have multiple panes of glass, are gracious doors that open to garden rooms, patios or different areas inside the house. Sliding or barn doors are also good solutions for interior doors, as are folding doors, which have a middle hinge to save space. Accordion doors are made of pleated fabric and are good to place over closets. Windows There are more types of windows than doors but the type of window and where it is placed in a house is even more important, for the amount of light that comes into the building, the style of the building and for safety. Indeed there are local codes that control the size and the type of window that can be placed, say, in the basement. Energy bills also come into consideration, so nowadays most windows have an arrangement of insulating glass panes. Types of windows include casement windows that open in or out, double-hung sash windows, large and elegant bay/bow windows or jalousies with glass louvers that open and close. When To Replace Windows Window replacement should be considered when the frames start to rot because water has penetrated them and if the homeowner sees condensation between panes of insulated glass. If the house was built before the 1980s, the homeowner should have an expert come in and check to see if the window frame contains either lead paint or asbestos before it is taken out. Of course, some homeowners simply replace old windows because they want a new look, but they should be prepared to pay for it! 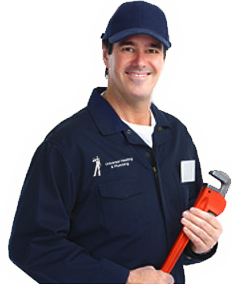 Plumbing emergencies can occur at any time and when they do, it is important to be able to rely on a credible plumber. A professional plumbing expert who possesses the appropriate licenses and credentials will be able to provide you with a wide array of services and repair options. The education and experience of a plumbing professional gives them the ability to work with plumbing fixtures, sinks, water heaters, backed up sewer systems, drain pipes, and toilets. Credible plumbing professionals will also be able to troubleshoot many different types of plumbing problems and will have the tools and expertise to perform the appropriate repair after diagnosing the problem. 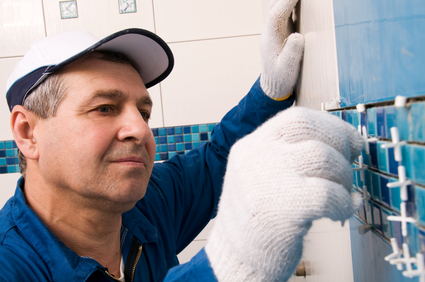 Hiring a licensed plumber will help you to ensure the job is performed up to code and safely. When looking for a professional to handle your plumbing problems, it is critical to understand the importance of licensing. In many states, plumbers are required to be licensed. Required course work or an apprenticeship must be completed in order to obtain a license. As part of their training, plumbing trainees will learn about building codes and state laws. Professional and credible plumbing specialists will also be educated about the most up-to-date techniques and services. This includes the provision of plumbing services that are environmentally safe. Specific plumbing products that are safe for the environment, people, and pets can be used. This includes drain cleaners that are non-toxic. Advanced technology and techniques, including video inspection devices, can make it much easier for drain lines to be assessed for damage and cleanliness. This type of system can also be used to provide clients with a view of the completed work. If you are not already acquainted with a licensed plumbing specialist in your local area, there are many different ways you can find a professional. One option is to ask family, neighbors, and friends for recommendations. Advanced technology and social media have now made it much easier to ask your acquaintances for recommendations. You can also search online ratings and reviews to assist you in your search. Keep in mind that a business license and a state-issued plumbing license are not the same thing. All businesses are required to have a business license in the area where they conduct business. A business license do not provide certification that the contractor is able to work legally in the plumbing industry. When hiring a credible plumbing specialist, it is always important to ask contractors to show you both their plumbing license and their business license prior to making a decision. It is also a good idea to consult your local Better Business Bureau to obtain information about anyone you consider hiring. Choose a professional who has a reputation for being reliable and honest. Hiring a credible plumbing professional to handle issues with your home’s plumbing system is not something that should be left to chance. By hiring a reliable and professional , you can often prevent further problems in the future while remaining assured that the job is done right the first time. Security cameras have come a long way in the protection of businesses. There are so many type of cameras available with a multitude of options. 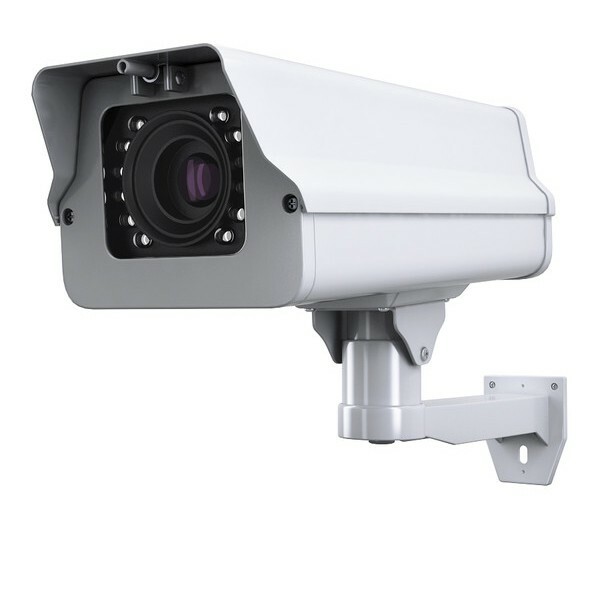 Because of the array of surveillance camera systems to choose from, they are found in just about every business around. With the use of technologies such as smart phones and tablets, a business owner can run and view their security cameras from anywhere at anytime. Being able to easily monitor the activities in a business can help thwart off many illegal activities. There are many other benefits to having a security camera set up in a business. Prevention of Theft and Illegal Activities This is one of the biggest benefits of having surveillance systems on a business' premises. Many thieves, burglars and other criminals will shy away from doing any acts if they know that they could be caught on camera. Cameras are a great deterrent for illegal actions. The cameras record twenty-four hours a day to capture any suspicious activity. If a business does have a break-in or a theft, the footage from the surveillance system can be given to local law enforcement to help catch them or to use as evidence in the event of a trial. Reduces Liability Many criminals and even employees are looking to make false claims against a company in order to sue and get paid settlements. Having video cameras throughout a business is a great deterrence against such acts. If a business does not have video evidence to defend themselves, those criminals have a good chance of getting what they want financially. To divert employees from reporting incidences outside the view of cameras, you should add covert cameras in other locations so that no employee knows if or when they are being recorded. Offers Peace of Mind Not only will video cameras offer peace of mind for the business owners and employees, but they also offer peace of mind for customers. Customers feel more at ease knowing that they are being monitored in case of an incident. Surveillance is an easy and simple way to offer a safe and secure environment for both employees and customers alike. Another way that cameras can offer peace of mind is by protecting intellectual property. Many competitors are capable of doing many things in order to know your company's secrets. Increases Productivity Another great reason why it is beneficial to have surveillance in your business is to keep an eye on your employees. When they know they are being recorded and constantly watched, they are generally more productive. Cameras can keep employees on their best behaviors when the managers and owners are not around. Once a business installs security cameras in their buildings and they begin to realize all of the benefits they provide, they will not know how they lived without them. In addition to catching or deterring criminals, they can also offer protection of your assets, create a safer environment for your workers and customers and they enable you to effectively monitor your business at all times. Buying a home is one of the biggest investments anyone will make in their lifetime and thus one of the most stressful ones as well. Aside from the high cost of the investment, the fact that a new house is the place you'll spend the next 10 or more years calling home means buyers should search for the most value their money can buy. Home Evaluation How is value determined? 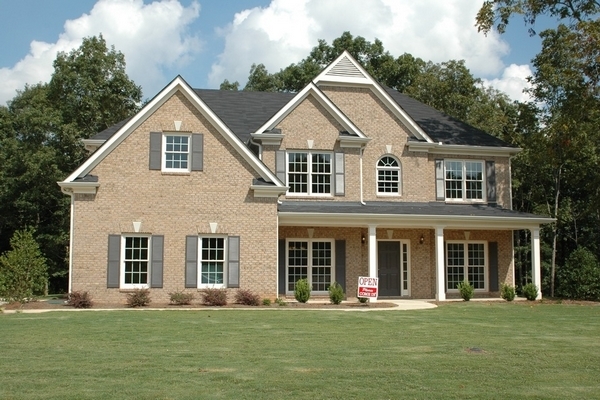 Home appraisals, or home evaluations, are an important step in buying or selling a home. For the buyer, the bank financing the purchase performs an evaluation to determine the monetary value of the home and thus whether or not the requested loan amount is a good investment. A bad evaluation can be the difference between a buyer securing the financing to complete the purchase and having to walk away from a sale. On the flip side, current homeowners, prior to selling, will usually request an independent evaluation of their own to determine the value of their property as well as what repairs or renovations can be done to increase the estimate. Particularly if you're selling a property for which a mortgage is still owed, underselling a home is always a bad financial decision. In today's connected world, social media is a great tool for sorting through appraisers to find the best person for the job. What's Involved with a Home Evaluation? It should be noted that a home evaluation is not the same as a home inspection. The latter is a structural examination of the property to determine whether any repairs are needed or if any safety issues exist. A home evaluation deals primarily with the surface aspects of the home such as appearance or the quality of the neighborhood. Nevertheless, since a home evaluation deals primarily with "first impressions," it's helpful to know what the process entails so that sellers can improve the value of their property and buyers can be informed. Curb Appeal and Yard Maintenance Whether it's a lack of time, money or the manpower to do the work, many homeowners adopt the habit of neglecting the outside of their home. Overgrown grass, weeds growing between cracks in the sidewalk, broken porch steps and damaged siding are but a few examples of what will lead prospective buyers to drive past a home and the owner to sustain a property devaluation. A neglected exterior may also signify to a prospective buyer that a yard's size is too big to manage. Structural Appearance While a home evaluation does not look closely at the structural integrity of the property, it's possible to judge the condition of the roof, signs of leakage around window frames and the quality of the siding just by walking around the exterior of the home. Touching up the exterior paint or spending a few thousand dollars to add a second layer of roof shingles will increase the value of a home. Interior Design How a home is decorated will greatly influence the evaluator's opinion. This is known as home staging. An open floor plan with modern furniture, bright colors to lighten the space and decluttered rooms all add value to a home. The key is to remove any reminder that a family already lives there and instead create a magazine-esque look that anyone can envision as their own. Renovations and Updated Appliances Renovated kitchens with granite countertops and stainless steel appliances are a perfect example of how investing $5,000 in updating your home will add $15,000 to the property's value. Features like these are also what prospective buyers are looking for because no one wants to spend additional money on renovations after buying a new home. Competition is fierce in a housing market still reeling from the collapse of 2008. Buyers are out there and eager to find a new neighborhood, but they have plenty of options and many houses are selling at desperate prices. 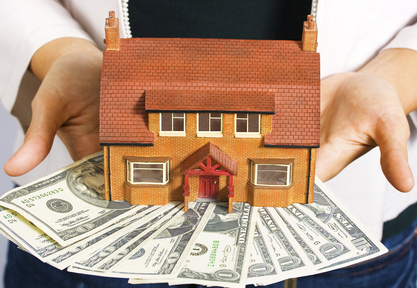 In order to generate interest and get the best possible price for your house, you will need to make it stand out. These are the five easiest and most effective ways to boost your home's value and improve your odds of making a quick sale. Remove Personal Touches Buyers want to imagine their new home full of their own personal belongings and ready to make some memories. They don't want to see family portraits, knick-knacks and your child's macaroni artwork. When in doubt, model your house after a catalog: clean, spacious and a little bland. Perform a deep cleaning within every room, and use that time as an opportunity to remove clutter and anything that will remind buyers of another family's presence. By the time you start showing, your house should be a blank canvas. Add a Fresh Coat of Paint Nothing spruces up a house like new paint. Years of use and exposure to the elements will wear out even the most durable paints, and you may not have noticed the gradual fading and accumulation of dirt. Buyers will, however, and see it as just another renovation that must be done before they can enjoy their new residence. On the other hand, bright, fresh paint instantly increases a house's appeal. Use attractive, neutral colors that will complement most furniture and not turn off prospective purchasers. Landscape People love spending time outside, and an overgrown or boring yard is unlikely to win your home any fans. Even if you have already moved out, stop by or hire someone to keep the lawn mowed and weeds pulled. 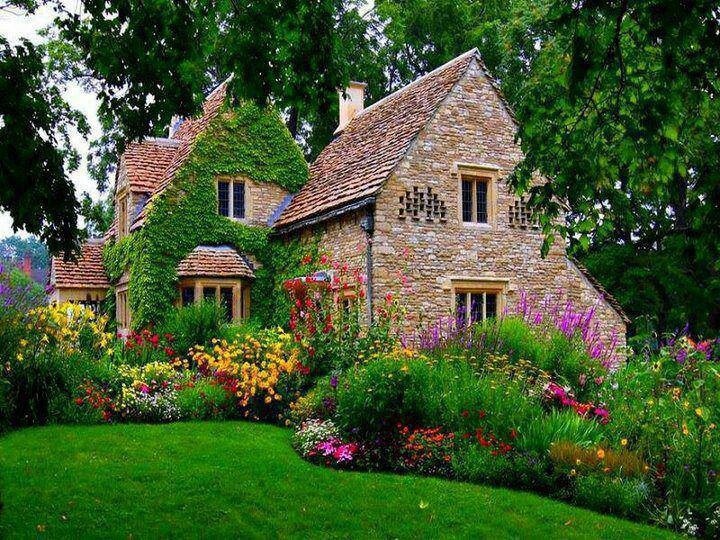 Adding flower beds, trees and ornamental bushes adds to your maintenance costs, but they also improve your house's first impression on buyers. If done properly, a little landscaping can add thousands of dollars to your sale price. Get Rid of Old Carpeting Much like dingy paint, old carpeting is one of the fastest ways to decrease a home's value. Carpets hold smells and stains for years, trap dirt and are out of style. If you are having a hard time selling your home, installing hardwood flooring and tiles in several rooms may prove to be a profitable investment. Otherwise, determine which floors are the worst and swap them out with new carpeting to give the entire house a face-lift. Update Bathrooms and the Kitchen The home renovations with the highest ROI are bathroom and kitchen updates. Upgrading to modern appliances and technology can bring a home into the 21st century and make buyers forget that they are purchasing used. Refurbished cabinets and counter-tops are the bare minimum, but the real value comes with new toilets, sinks, refrigerators and stoves. Do what you can afford, and you may find families lining up to make an offer on a home that had previously been stagnant on the market. A longing to make the busiest room in the home function and look better has made bathroom renovations the most popular home remodeling projects that homeowners undertake. Bathroom renovations account for nearly 30 percent of home improvement projects. Prioritizing design goals helps homeowners get the job done right. Some people simply want the bathroom to work more efficiently, with more storage and with fixtures that are more efficient. Others want features that make the room function as a home spa. Most want a bathroom that looks and feels up-to-date. Too often, bathrooms become dated, trapped in a time capsule. While mid-century bathrooms can have a retro charm, it’s a style that doesn’t always gel with the style of the rest of the home or with the homeowner’s personal taste. Setting Priorities Before contacting contractors, before shopping for products or even before sketching out the first layout, homeowners need to set clear design goals. It’s not only important to decide upon a decorative style for the busy room, but to determine the desired mood and atmosphere of the space. Creating an environment that suits the lifestyles of those who inhabit the space is the best guarantee for a successful bathroom renovation. Whether it’s a sleek, modern room with an invigorating energy that helps people get up and get out the door on time in the morning, or whether it’s a warm and serene environment that helps people relax and unwind at the end of a busy day, designing for an atmosphere that enhances personal lifestyles helps ensure that the bathroom renovation will be worthwhile. Planning and Preparation One of the most pleasurable aspects of bathroom renovations is creating a wish list for the project. Collecting pictures of products, materials and decorative styles that are personally appealing into an idea folder is a good way to start. A scaled drawing of the existing bathroom, illustrating both the location of windows and doors as well as utility lines and outlets helps set design parameters. Some homeowners will choose to consult with a designer or architect to create a tentative floor plan. Others may prefer to layout the space themselves, either by drawing plans or by using 3-D software. Choosing a Contractor The most important decision of all when undertaking a bathroom renovation is choosing the contractor. It’s a decision that should never be rushed. Engaging a contractor and planning for the project typically takes longer than the renovation itself. It’s important to get estimates from several contractors. Homeowners should ask for references, both from clients and from suppliers, and should take the time to follow up with them, visiting completed projects whenever possible. Before signing a contract, homeowners will want to ensure that they understand the time-frame and work schedules for the renovation, the payment schedule and they types of payment that are accepted. A quality renovation will not only raise a home’s resale value, but will enhance the quality of life at home.